Sositar Mold is professional plastic injection mold manufacturer in China working for plastic injection mold and plastic injection molding for global market, sure we also make prototype injection mold for custom plastic product development. What is prototype injection mold? Prototype injection mold is lower mold life injection mold to plastic prototype, normally the production quantity is lower than 500pcs. Sositar Mold prototype injection mold mold life is based on the plastic products structure, plastic product material and the material used for the prototype injection mold. More details our engineer will coordinate with you to carry out based on your situation and information offered to us. What kind of material Sositar Mold used for prototype injection mold? We normally use aluminum or S50C(1050) steel for prototype injection mold, we can also accept the other steel what custom specified. What is the lead time for the prototype injection mold? Sositar Mold think give importance to prototype injection mold manufacturing as normally the prototype injection mold is during the plastic product development process, the lead time is very shot. We do our best to control lead time, normally we should take from 10days to 30days for the prototype injection mold manufacturing based on the plastic product structure. Can Sositar Mold ship the prototype injection mold for our production? 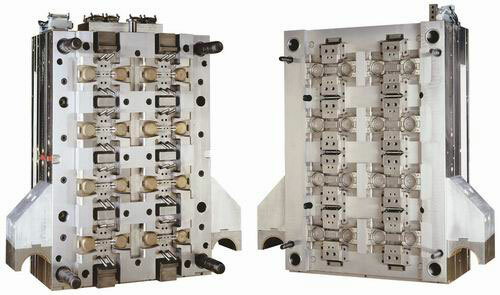 Yes, Sositar Mold can ship the prototype injection mold for your injection molding. We can also do the prototype injection mold injection molding production in China to offer the plastic products for you. What is the advantage for Sositar Mold to make prototype injection mould? Sositar Mold worked for plastic injection mold making, plastic injection molding and prototype injection mold making more than ten years for the global market, and joined in various customers’ plastic product development and offer the free charge of Design for Manufacturing analysis.